While a title like “Disco Fever” might conjure up images of synth-heavy beats and glittery-glam dance floors, Rosechild’s take is markedly different. 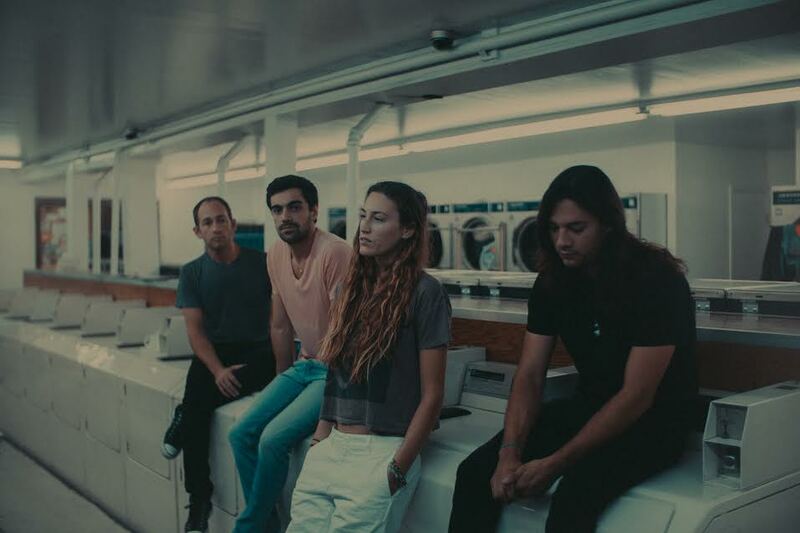 The Santa Monica-based band–made up of vocalist and guitarist Haile Meirow, guitarist Josh Martinez, bassist Dan Boos, and drummer Bruno Ragolia–bills themselves as alt-rock and soul grunge, so don’t expect Donna Summer in their latest single. 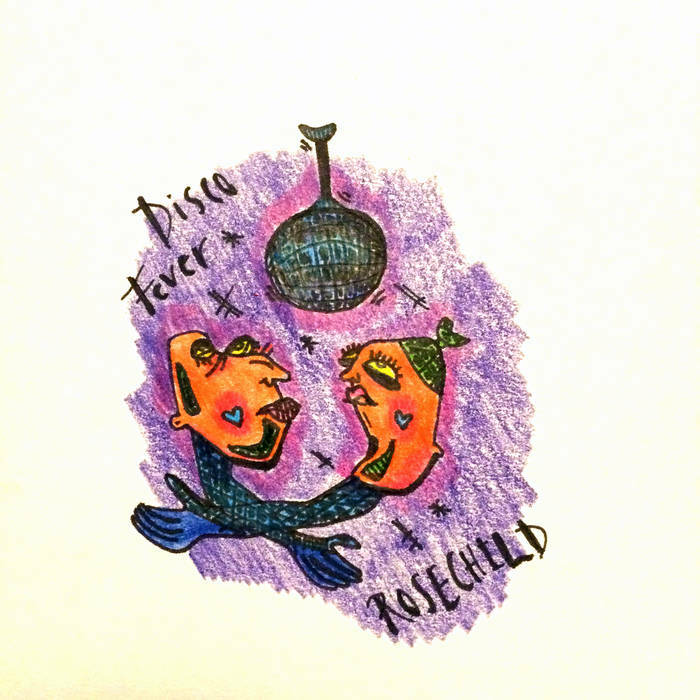 While Rosechild’s tone in “Disco Fever” might be the direct opposite of listeners’ expectations, it grows into a powerful song dealing with the love, timing, and memory that ends up encouraging its listeners to dance in spite of themselves. Starting off with guitarist Josh Martinez’s gentle strings, the song begins raw and unfiltered. From the first note, it’s clear that this is going to be something intrinsically more personal than just another dance tune or just another story about two people at a club. The lyrics aren’t overly detailed, but are littered with enough small details to hint that “Disco Fever” isn’t anything but personal. Vocalist Haile Meirow’s soft croon–whether it’s detailing the fact that this all started on a “Monday night with a first kiss” or noting her own “shock– presents a series of moments that stick in the memory. The specificity of noting the day of the week shows just how formative this particular Monday night is–a detail that could be seen as irrelevant by the opposite party is presented as a cherished memory, remembered because it’s the moment everything changed. And what a moment it is. Yet even from the first heart-stopping kiss, Meirow–from her future vantage point–notes that “he” could sense that it would fall apart from the beginning. As the song transitions into the chorus, that doesn’t stop her from seeing “something”–which remains unnamed, adding to the song’s feeling of longing–in this person. The song’s title ties more into the song’s narrative in the second verse. Meirow’s gentle command to “put your drinks down” and dance with a stranger in the “tinted light” evokes images that relate directly back to the song’s title. Her intonation in the line “wrap your arms tight” hints at more than just something physical–grasping tightly at something that’s ultimately going to end up as ephemeral as the light reflected from a disco ball. There’s a sense that Meirow is now observing from the outside, distanced from the people around her and from the moment noted in the first verse. As the song progresses, lines like “Yeah, there’s something I see in you/That makes me do what I do” and “Welcome to the world of goodbyes/I hope I see you in due time” only serve to emphasize that feeling of something beautiful slipping away. In a way, it’s a salute to a spark that faded–and, perhaps, to the flash and fade of disco itself. That moment (and the heart of 70s disco itself) are crystallized in the past, viewed through rose-colored lenses–distant from the present from which Meirow is speaking. The concept of emotional distance is furthered in the song’s music video. Directed by Meirow, it centers around a woman who’s a bit removed from society around her. Clad in a curly blonde wig and 70s-reminiscent printed jumpsuit (think Penny Lane from Almost Famous), she floats and dances through a pet store like nobody’s watching–clearly identifying more with the caged animals than with her fellow shoppers. She’s not cognizant of their stares, and therefore beyond their criticism. The only place in the video where this woman truly seems to fit in is in her own home–the only place she can take off her wig (of which she has several) and let her true self expand. She dances around her home, not interacting with anyone, eventually releasing the fish in her bathtub and joining them. There’s something heart-wrenching in her actions–though she’s a bit distant from the people around her, she’s presented as the one authentic thing in the video. Shots of the woman handing flowers to children at the beach are juxtaposed with the haunting, closing shots of her walking by a group of crosses in the sand, as Meirow sings “come back to me.” The video presents another concept of distance–living in one’s own world–that is hinted at in the song through Meirow’s transition to a more-distanced perspective. The video simply shows how someone who’s also a bit removed (but from the people around her, rather than separated in time) literally dances like no one is watching, and how much courage that takes. Rosechild’s “Disco Fever” both salutes a romance that didn’t work out and gives voice to the emotional limbo that follows once a special moment becomes distant. At the same time, the song urges listeners to get up and dance despite life’s bittersweetness–much like the woman in the music video. So, as the band put so eloquently in a Facebook post, “let’s keep this simple. Dance. Love. Repeat.” What better advice is there?